(CNN) - A family of four taking a West Coast road trip has vanished, and the disappearance coincides with a report of a vehicle sinking into Northern California's Eel River last week. 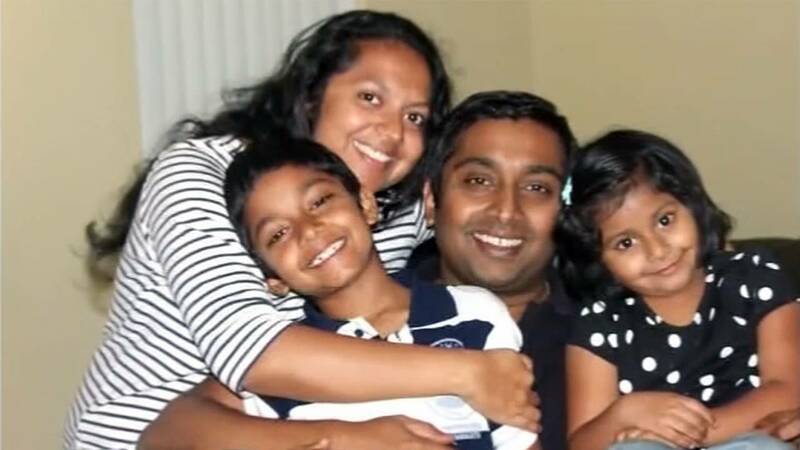 Authorities are not connecting the two incidents, but the Thottapilly family was last heard from the day before authorities received reports of a maroon Honda Pilot -- the same color and make of the Thottapillys' SUV -- submerging into the swollen river along US Highway 101 north of Leggett, according to local media reports. A family member reported Sandeep and Soumya Thottapilly -- along with their children Siddhant, 12, and Saachi, 9 -- missing Sunday. They had been driving from Portland, Oregon, to their home in Santa Clarita, California, north of Los Angeles, according to the San Jose Police Department. The Thottapillys were expected to make a stop Friday at a relative's home in San Jose, just south of San Francisco, but never showed, San Jose police said. Family members last spoke to them Thursday. "All available resources are being utilized by searching personnel," state police said in a statement. "Through the collaborated efforts of all the involved agencies we are working to resolve this incident as quickly and safely as possible."